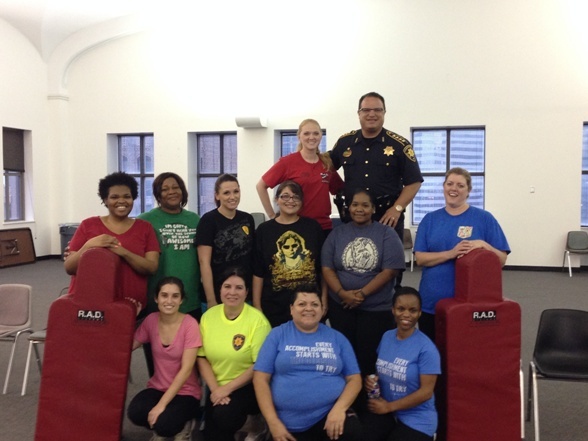 Constable Alan Rosen recently established a Crime Prevention Division (CPD) at Precinct One. The Deputies assigned to the Unit have certifications in International Crime Prevention, as well as certification for Crime Prevention through Environmental Design (CPTED). The deputies assigned to this Unit are highly trained in all areas of crime prevention, to include personal safety, senior safety, workplace violence prevention, robbery prevention, home security and identify theft prevention. The goal of this Unit is to assist communities in establishing active Neighborhood Watch Programs, assist businesses and homeowners with preventing crime, and work with our deputies in addressing neighborhood public safety issues, which improves the quality of life for citizens in these communities. Constable Alan Rosen recognizes the value and importance of engaging and educating the community in crime prevention initiatives and knew that establishing this unit would further enhance the services already provided by the Precinct One Constable’s Office. Please contact Deputy Toni Mascione at 713-222-4391 or click below to email.